Selsdon Wood is a woodland area located in the London Borough of Croydon. The Park is owned by the National Trust but managed by the London Borough of Croydon. It is a Local Nature Reserve. The Wood has a Friends group - the Friends of Selsdon Wood (FSW) - who have their own website. Sir Julian Huxley (a zoological scientist) was one of the main backers of the Selsdon Wood Nature Reserve. Main entrance to the park is off Old Farleigh Road, served by bus stop Forestdale, Selsdon Nature Reserve on London Buses route 409. 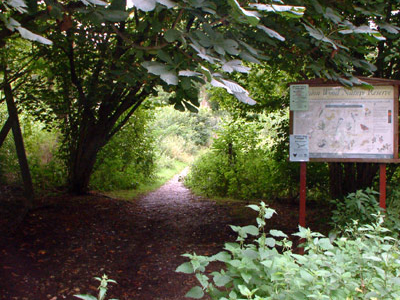 The London Loop path (Section 4 West Wickham Common to Hamsey Green) runs through the park. The park is fully accessible at all times. Here's the our members favorite photos of "Nature Reserves in London". Upload your photo of Selsdon Wood!